Change the path you are in when you run the CMD command. 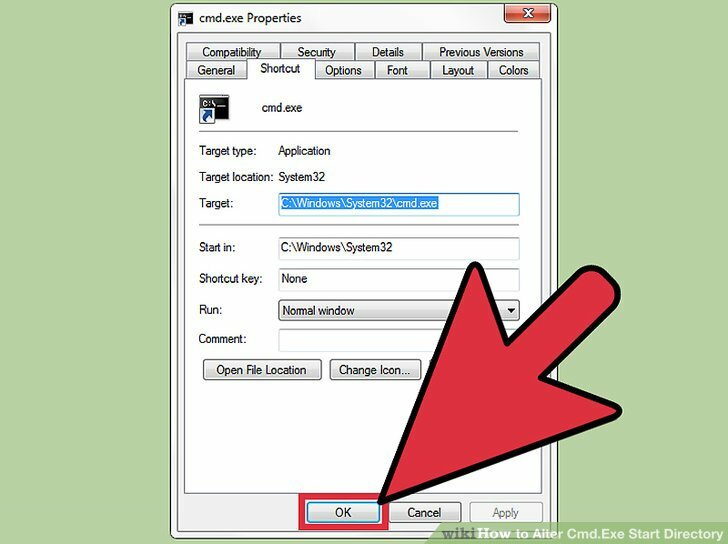 1) Regedit 2) HKEY_CURRENT_USER\Software\Microsoft\Command Processor 3) In the right-pane, double-click Autorun and set the startup folder path as its data, preceded by �CD /d �.... Change the path you are in when you run the CMD command. 1) Regedit 2) HKEY_CURRENT_USER\Software\Microsoft\Command Processor 3) In the right-pane, double-click Autorun and set the startup folder path as its data, preceded by �CD /d �. Change the path you are in when you run the CMD command. 1) Regedit 2) HKEY_CURRENT_USER\Software\Microsoft\Command Processor 3) In the right-pane, double-click Autorun and set the startup folder path as its data, preceded by �CD /d �.